The revised version of the Kanger OCC coil is vertically wound and offers an application range of up to 60 watts. Kanger Subtank / Plus, Subtank Mini and Subtank Nano. From our shop. 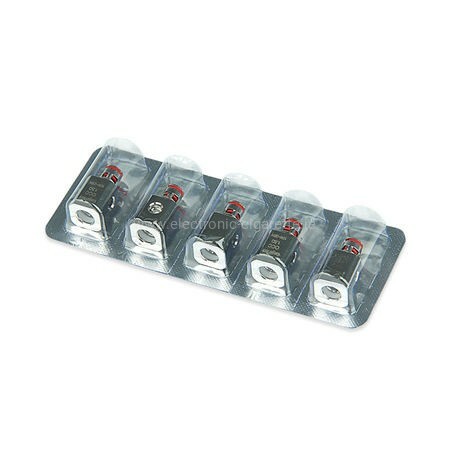 These clearomizer units are not suitable for eGo batteries and similar models, even if these VV / VW support. They may only be used on battery carriers which use high drain cells (load current 10A - 30A) and are highly resistant. 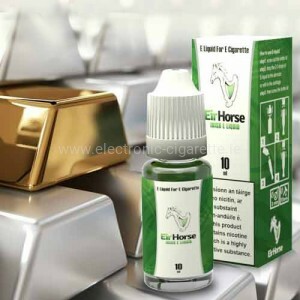 The battery holder must support clearomizer with at least 0.5 Ohm. 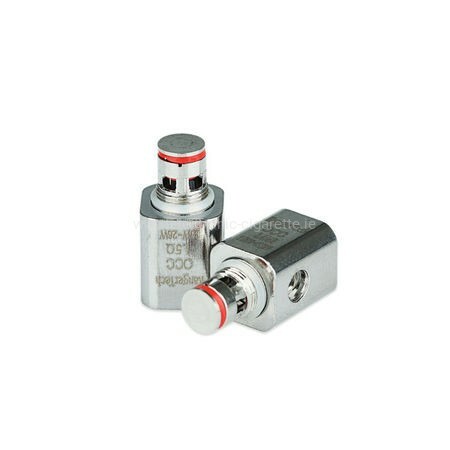 Many accumulators and accumulators increase by a protective circuit with a resistance of <= 1.2 Ohm, so that these clearomizer units then do not work. Please pay attention before purchase. Perfect! My local vape shop stopped carrying this particular coil, in favor of the 15 - 30w, which just wasn't enough for me. Found these here for half the price I'd pay in the store. Very happy about this purchase and I'll definitely be back for more. Couldn't be happier! Excellent service, quality and delivery. Couldn't recommend e-cigarette Shop more ! Thrilled with my purchase. For those experiencing leaks with make sure you're actually able to vape the amount of liquid in your drawing through to the atomizer. This depends on the Ohms or resistance you should vape at. I use the pre-built 0.5 ohm carts which don't leak between 20 - 30 watts on an 50w istick. anything below this wattage eventually leads to leaks out of the 3 air holes. This is also under the assumption you're opening up 3 air holes. Point being you need to find the correct power to cook on the juicer pulling through to the atomizer where you're going to have leaks. Absolute perfect tank, no leaks or dry hits, constant smooth flavoursome flow with plenty of adjustability for the perfect hits every time. Extremely well built and performs really well on the Kbox as well! Great tank with amazing taste. The only problem is it tends to leak some juice and this is around the air holes thinking me to believe it is through the coils. I change coils, checked the O-Rings etc.. but no joy. Not a massive problem but have to clean off the leaked juice. Tends to leak more when quarter full or about empty. Hopefully Kanger are aware of this problem and will replace the parts that are faulty. I ordered the nano sub tank and that seems to behave much better.. Perfect tank,.5 coil is awesome, plenty of vapor and great flavor of juice. No leaks, no dry hits, just works as it should. I also have the Atlantis, but the subtank is my out of the house vape. For those having trouble with leaks at the airholes, try bumping up the watts, in order to vaporize all the liquid. I think the only way I can describe this is that my coil making days are finally over. 100 meters of kanthal wire for sale! The flavour production is incredible the vapour production is amazing. Is it worth it every single penny! Holds a nice amount of juice, perfect for vaping all day. Brilliant flavour and a nice amount of smoke. The tank seems to leak quite bad (had it less than a week and not been using it continuously). It leaks through the air flow and soakes my box mod. Until this problem is sorted I wouldn't recomend this tank. Not had any problems with my Aspire Atlantis! For me, this is the undoubtedly the finest kanger tank I've ever owned. With the OCC heads, the flavour and vapour you get, considering the ease of use, it is outstanding. And, this thing hits harder than anything I've ever experienced. I actually found the 0.5 ohm head too much for me (on a mech mod with a 30A Sony battery) So far I'm preferring to use the rba section. 26 gauge kanthal single coil build at 0.8 ohms, impressive vapour and flavour. You need a bit of patience to rebuild it dual coil, although the pre-built dual coils on the rba deck did perform very well. The only slight downside I've found was the pyrex section can move easily once youve unscrewed the airflow base, be careful refilling if the tank isn't completely empty! I find the airflow superb too, I haven't tried the atlantis so I cant compare it, but I can get it to stay almost shut for good mouth to lung draws as well as the wide open lung hits! Overall it's brilliant, hasn't leaked at all so far in either mode, a really superb purchase and great value for money considering what you get in the box. Love it! Wow this tank is absolutely excellent I have used Kanger before so when I was looking to change To a RBA tank. I decided to go for this one when This is worth the money I spent on it compared to the price of so many other RBAs I like that you get the choice of using a normal and normal prebuilt coil or using it as an RBA unit it is easy to put together an easy to feel I have giving this five stars as as for the price and what you get with it is worth the money if you are looking to buy an RBI then is what I would recommend you buy as you can't go wrong you get everything that you need to start off with in the box The new improved airflow system is is the best that I have known Kanger come out with so far. I can't wait to see what Kanger tech come out with in the near futureI think this is one of the best on the market and it was worth it it was worth every bit of money are spent on it. I tried the installed coil first and was really pleased with the flavour and vapour production. I'm using this on my home built mod which has the Evolv DNA40 chipset so I couldn't wait to try it with temperature control. Built the RDA using 28 gauge Nickel 200 wire and made just a single coil as it's quite difficult to get the ohms you need with this wire. The coil, wrapped to 10 turns produced 0.19 ohms and what a fantastic vape this tank really is. Trial and error found that the best setting with my particular juice was 500 degrees and only 10 watts. This gave unbelievable flavour and vapour production. At this low power- setting the battery is going to last ages. I can honestly say that this is the cleanest tasting vape I've ever had. The bonus to this is the fact that the tank doesn't leak and it's the first tank-style RBA I've ever had that doesn't leak juice all over the mod. 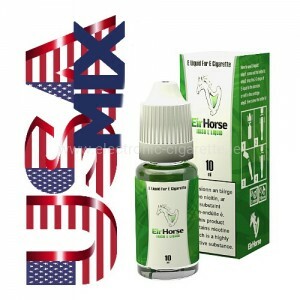 Coupled with UK Ecig's faultless del'y service it's worth at least 10 stars. 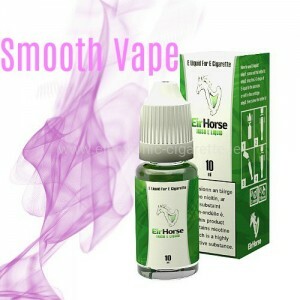 You know when you fill a tank with as much e-juice as you can, yet it looks only half-full when you put it on your mod? Well those days are over with the Subtank. After filling and re-assembly, the tank is completely full of juice. This may seem irrelevant, yet it is an example of the level of detail and design that has gone into making this tank. The air-ring clicks positively into one of four positions (at each 90 degrees of it's circumference), which allows air to enter via 1 to 3 holes. Rotating the ring only clockwise enables true one-handed adjustment, and prevents the risk of the tank unscrewing. The build quality and precision engineering is evident as soon as you open the box, it is a stunning looking device. The stated capacity of 4ml is slightly misleading. It is 4.2ml with the RBA, and 6ml with the OCC coil. I pre-ordered the tank, received it this morning and have been vaping it all day with the 0.5ohm OCC coil. All I can say is this tank is a game-changer, people are going to be raving about it. I can't wait to try the RBA and build some tiger coils for it.